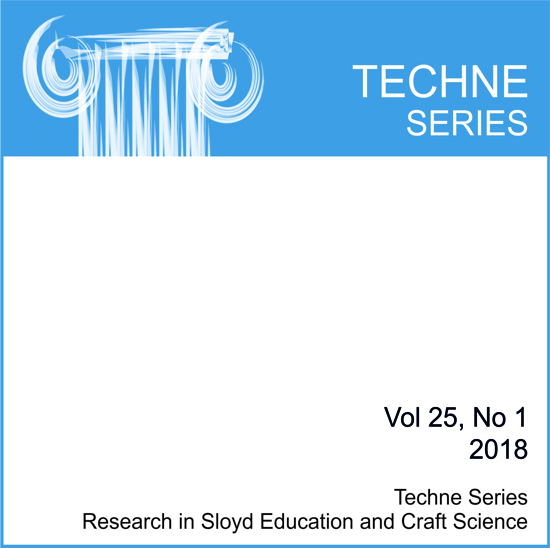 Existing research on the field of craft, or sloyd, education focuses on institutional frameworks characterized by having their own legal framework, politics, and defined purpose, whereas public spaces are not subject to similar regulation. Research in sloyd education shows how tools, materials, and artifacts are in a continual interaction among students, teachers, and peers. Recent research shows that craftivism (craft and activism) as cultural phenomenon adds new valuation and thinking contributing useful knowledge to the field of craft research. This article focuses on craftivism from three perspectives: first as a mediator between artifact and context; second as a learning perspective; and third as an identity activity. These three perspectives are introduced as The Activist Method. Research in craftivism shows that if an activist brings sub elements from craft and another topic together a new language is born. A rebel is not a counterpart to the activist. The study is based on teaching and combines materials and techniques within the field of sloyd education and natural sciences. Could both topics shine on each other and give the student an understanding of matter and meaning such as textile material and mathematical matters, such as length, distance, materialistic performance, and craft technics? The study took place during the Spring of 2016 at Freinetskolen, Copenhagen, in cooperation with Dark Cosmology Center, Niels Bohr Institute and Copenhagen Institute of Interaction Design, CIID. The activist purpose is to create a new language through craft and activism, which means the craft becomes a mediator between activist and another person. This article suggests possible learning perspectives from the outcome of mirror learning and identity both from formal learning spaces and informal spaces, and introduces the term ‘rebel’ as a new and different role for teachers to assume. Marie Debora Koch’s research focuses on learning processes and identity. Her focus is developing new understandings of the concept of learning and she draws inspiration from innovative and experimental cultures. Koch has a PhD in didactics (sloyd science) and works as a strategic researcher at the Copenhagen Institute of Interaction Design, CIID, a laboratory for human-centered research and education. She is also an consultant for educational institutions, e.g. The Danish Accreditation Institution.